On a rainy day in Athens, it was a message to warm the heart of the Greek government. Visiting European Commissioner for Economic Affairs Pierre Moscovici told a press conference on Tuesday that a deal on debt relief for the country is ‘doable’ by the end of the year. 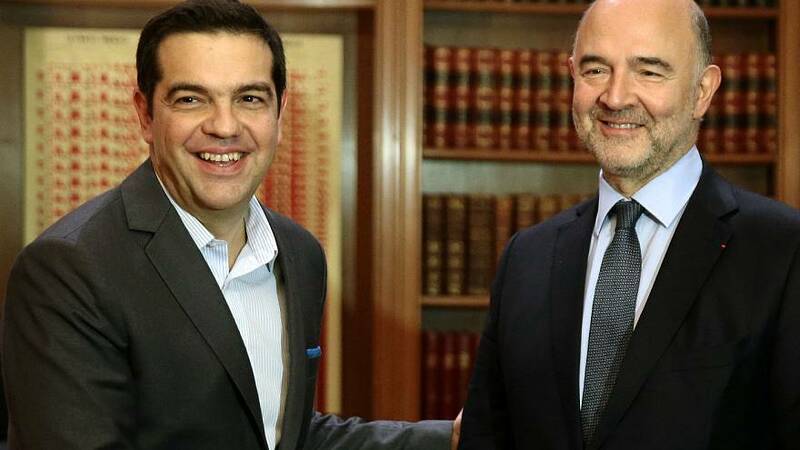 Moscovici is reviewing Greek efforts to implement labour and pension reforms required under the country’s third bailout – which he says will be the last. “We are not considering a fourth programme,” he told reporters at the EU’s offices in the Greek capital. With issues still to resolve, Monday’s meeting of Eurozone finance ministers may need to be followed up by an extraordinary session later in December. Our correspondent in Athens, Stamatis Giannisis, says that on Monday the Greek government is hoping to, at least, secure a political decision for negotiations to continue. The prospect, however, of further austerity cuts is Athens biggest fear, should two of Greece’s major lenders – the IMF and Berlin – strike a deal demanding more measures.